This is another idiom related to sports that can also be used in many situations. To settle a score with someone means to “get even” with someone or to “even up a score.” If you are playing a game or sport with someone, you want to win, right? If you don’t win, you would at least like to have a tie or be “even”. Maybe you lose one match, then you when another match and you have “settled” or “evened up the score.” It can be used in a good natured and fun way, such as when two fans are talking together, as in Example One below. It can also be used in a more sinister way, as in Example Two below. Frank: I hope that the Ducks win the pennant this year. They got beaten so badly by the Penguins last year, and they are playing against them again in the finals. Joe: Yeah, I would really like them to settle the score with those Penguins once and for all! Go Ducks! Frank: Yep! Go Ducks! Quack Quack! 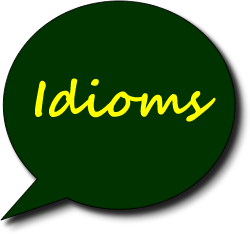 In the above example, the idiom is used literally in the terms of the scores that sports teams play for. The Ducks’ fan wants to get even with the other team; he wants his team to have a higher score and to beat the Penguins. Therefore, he wants to”settle the score” by being victorious over the other team. Defense Attorney: Your honor, my client is completely innocent! He did not kill his wife’s lover! Prosecutor: That isn’t true, you are lying! We know that your client did indeed murder his wife’s lover, and we have the evidence to prove it! Defense Attorney: That is ridiculous! What would his motive possibly be? Prosecutor: Why, to settle a score, of course! He knew that his wife was sleeping with your client, and he wanted to get back at her and get even by killing her lover! Isn’t it obvious? It was for revenge! In the second example, the husband is accused of killing his wife’s lover. He wants to extract revenge on both of them, and to punish both of them. Therefore, he “settles the score” by murdering his wife’s lover. Now he feels like he is “even” with both of them for what they have done to him. Sports idioms are used quite often in everyday life. They are most interesting when they are used as analogies for important issues such as business or politics. If you want to increase your English skills and understand American current events, you should focus on some of these idioms. For example the idiom “the ball is in your court” is a typical idiom that can be used in a business or political situation. A business owner makes an offer to another company to make a merger. He makes a great offer and says “the ball is now in your court.” This means he is telling the other company that he has made them an offer. They can take the offer, make a counter-offer, or reject the offer. They are the next entity to make a move. In an international situation, an American president can give an ultimatum to a dictator in another country and tell him that “the ball is in your court” meaning that he can either take the ultimatum that the government has made, or he can go against it and perhaps cause World War III! Mr. Business Owner A: I am offering you ten million dollars for your business. You know that you will go bankrupt if you don’t accept my offer, because everyone knows that this business is failing under your management. I can make it great again; just give me a chance to take it over. Mr. Business Owner B: I just don’t know. This business was started by my great grandfather, and I just can’t stand the thought of losing it. Let me think about your offer for a few more days. Mr. Business Owner A: You go ahead and do that. You know you won’t get any other offers like mine. Don’t be sentimental about this, go ahead and do the right thing for your employees and for your customers. The ball is now in your court. In the above example, Mr. Business Owner A gives an offer to Mr. Business Owner B. Mr. A starts the game, and now it is Mr. B’s turn to “play”. The “advantage” goes back and forth as business offers are made, modified, accepted and rejected. American President: Mr. Megalomaniac, you had better get those troops out of Xanadu. It is a sovereign nation, and you have no right to interfere. Mr. Megalomaniac: But that land originally belonged to my country! My people want it back! American President: That may be true, but The United Nations has agreed that you have no further rights to Xanadu. You have 3 days to get your troops out of there. Please think carefully about what you will do next. Do you want to turn this into an international war? Please consider it carefully. The ball is in your court. In this situation, as in the business situation, Mr. Megalomaniac has been thrown an “ultimatum” by the American President. Therefore, Mr. Megalomaniac now holds the “ball” and it is his turn to “play”. He must make the ultimate decision as to the future of the world! This idiom comes from the game of tennis where a tennis ball goes back and forth from one court to the next between two players. 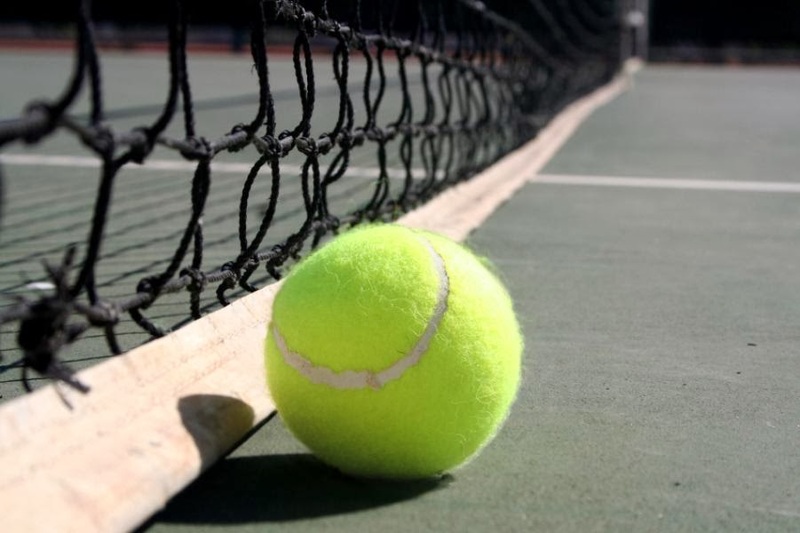 When you have the ball in your court, you are considered to have the “advantage” and it is now your turn to make the next “play” by hitting the “ball” back to the other “court”, hence the expression, “the ball is in your court”. It is your turn to make a decision and choose whether or not to continue the “game”.